Richard W. Peters Sr. 65, of Dunmore lost his battle with cancer on Friday November 30, 2018 at Allied Services Hospice Unit. 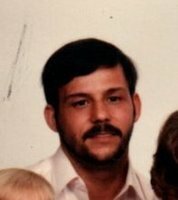 He was the husband of Michele Marsico Peters married 24 yrs. Born in Scr. son of the late John and Kathryn Bond Peters. He attended West Scr schools. He served in the United States Army. He was a private security guard. He enjoyed bowling, fishing, he was a die-hard Dallas Cowboys fan and New York Yankees fan, he loved spending time with his family. Surviving children are Laura Peters, Richard Peters Jr, Kelly Mincer, John Peters, Paul Peters, Thomas Peters, siblings William Peters, Keith Peters, Patricia Bunevitch, Debra Belles, Della Ziegler, Helen Peters, Ida Houman, twelve children, several nieces and nephews. Friends may call Saturday December 8, 2018 2pm-6pm Maple Lake Methodist Church 35 Harriet Dr. Springbrook Twp. Pa 18444. To send flowers in memory of Richard W. Peters Sr., please visit our Heartfelt Sympathies Store.